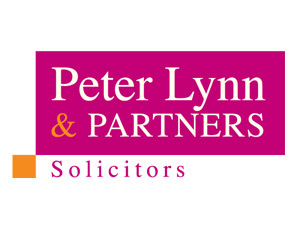 2015 /2016 was a momentous year for Peter Lynn and Partners. Not only did their figures once again hit record levels but the firm grew to over 60 staff, most of them in a relatively short timescale and their development continues. In August, a merger with the historic Swansea firm of Ivor Evans and Benjamin enabled them to offer clients another branch at the Walter Road site. In the same month, they opened a new office in Cardiff city centre with Darren Lewis leading the way, bringing an array of commercial property clients and expertise. The firm welcomed back to Mumbles Stephanie Kift-Harries after her maternity leave. She continues to offer residents and estate agents a professional and efficient conveyancing service in the Mumbles, Gower, Killay, Sketty and Dunvant areas. Janelle Carter-Jones in Ystradgynlais has seen the office and staff bed into the community successfully whilst Richard Howe’s team in Pontardawe continue to be the law centre of choice for the Swansea Valley community. Morriston office has seen record levels of activity primarily in property and family work. The flagship SA1 office is still the centre of all commercial work and has seen a fantastic rise in high net worth clients and larger companies seeking cost effective and expert legal advice and solutions. New additions abound, the firm is particularly pleased at the progress of trainees – four currently signed up and two to be announced shortly – a clear sign of strength in all departments. The residential property team hit record levels of output and service allowing over 3000 property deals to be effected smoothly during the year. The family law team remains the largest in the region offering truly specialist advice from Contact and Care cases to high profile financial claims often involving assets worth tens of millions of pounds. Commercial property was particularly buoyant with Chris Tymanowski and his team hitting record levels of deals. Litigation remains strong and with the acquisition of local authority work as well as major company cases. Company and Employment law has seen steady growth due to the excellent results obtained by Stuart Atherton and Nia Godsmark and their team. Finally, significant increases in wills and probate instruction has followed our recent recruitment and we expect this trend to continue due to the excellent work of our specialist probate law team including seven expert experienced solicitors. Particularly pleasing has been the ability to support so many community sports, arts and team events and charities including the firms nominated charity Ty Hafan, who benefitted from well over £5,000 of donations from various events in the past 12 months.